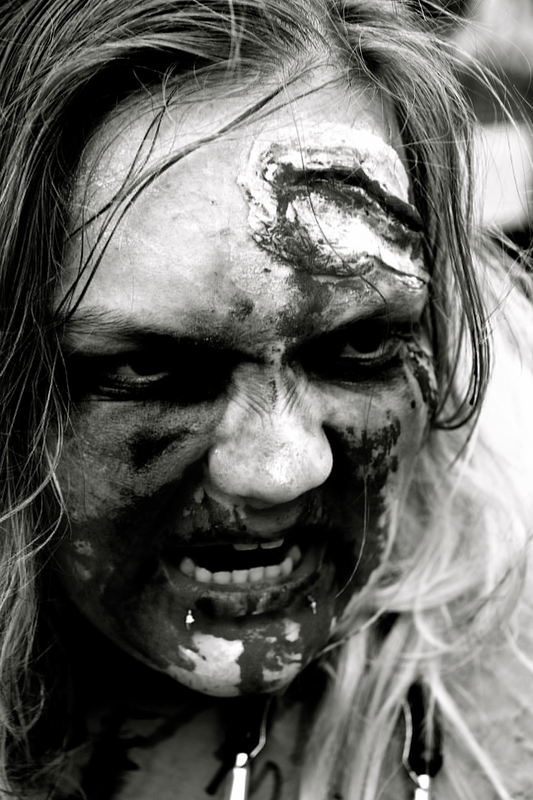 Military Zombie. 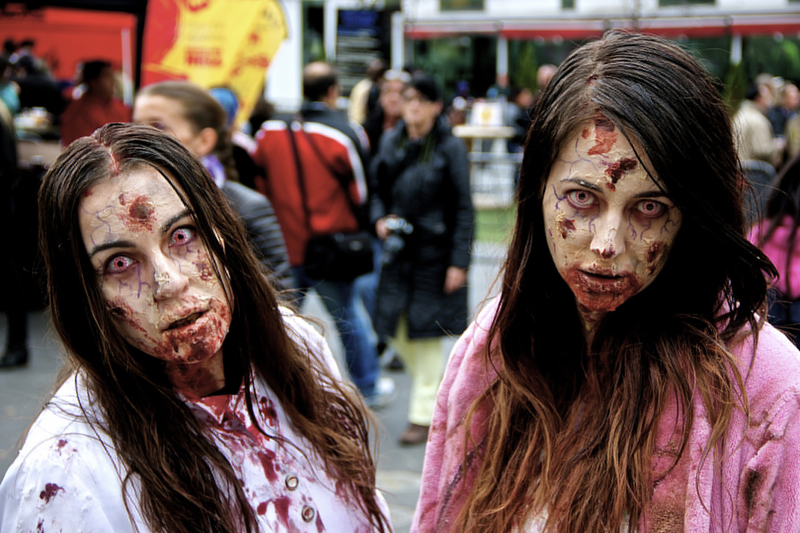 Zombie Walk. Montreal. Photo Michael Bakouch. 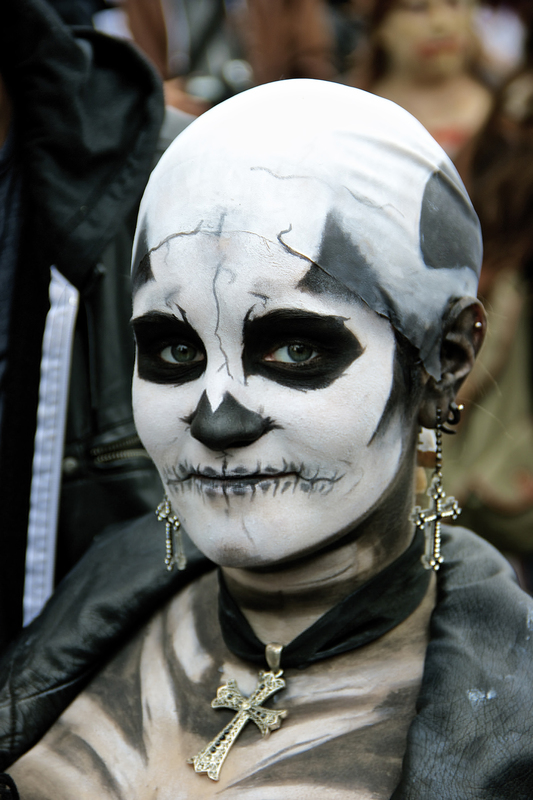 At 3 p.m., the undead wandered Montreal’s streets, some moving fast, some moving slow. Some groaned. Some talked with posh accents. Dogs, children, stray body parts — it was all there. 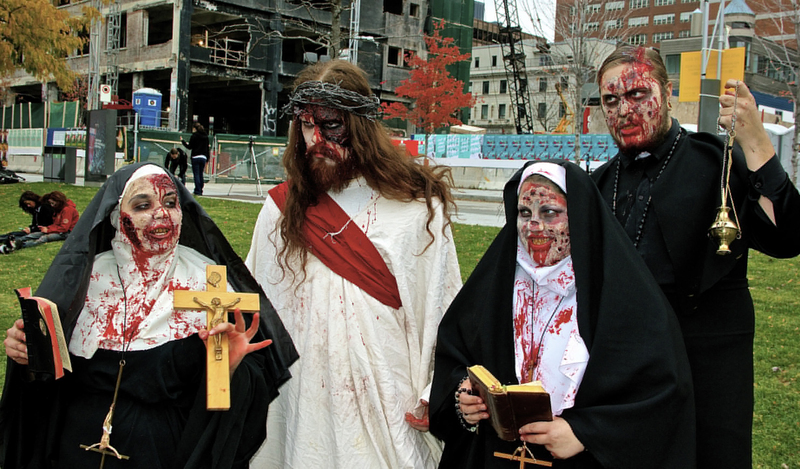 The Montreal Zombie Walk has been an on-going tradition for several years now as a way to welcome to Halloween season. 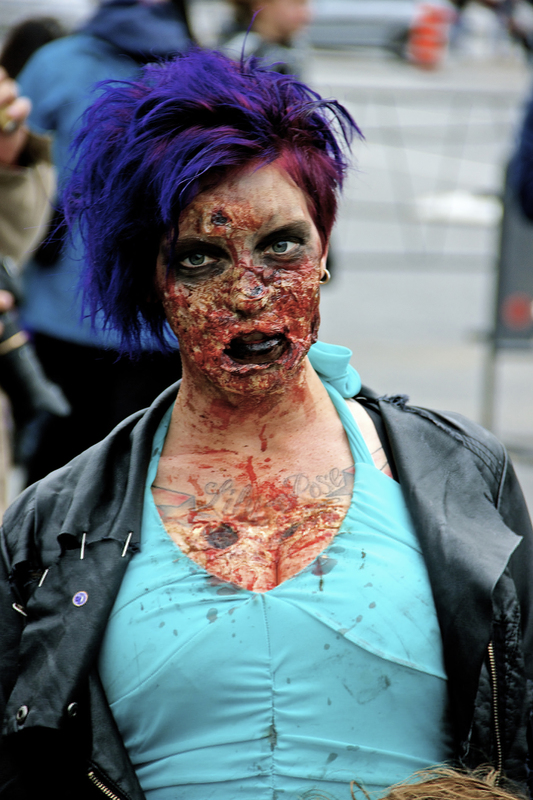 For those less talented with altering their features, $15 gets a visit with a make-up/special effects artist to enhance the decomposition process of zombification. 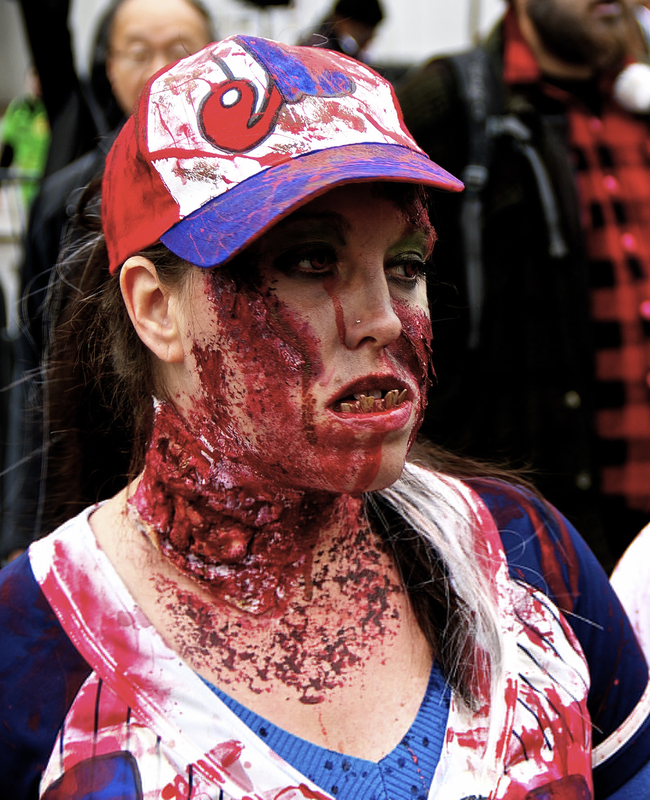 Michael Bakouch was on scene to capture the creepiest for Montreal Ramapge. 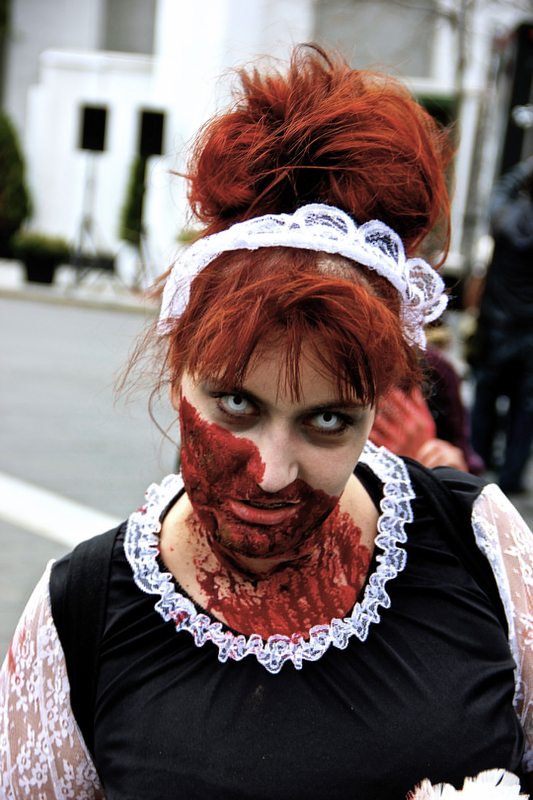 Zombie Walk 2014. Montreal. Photo Michael Bakouch. Patients Zero. 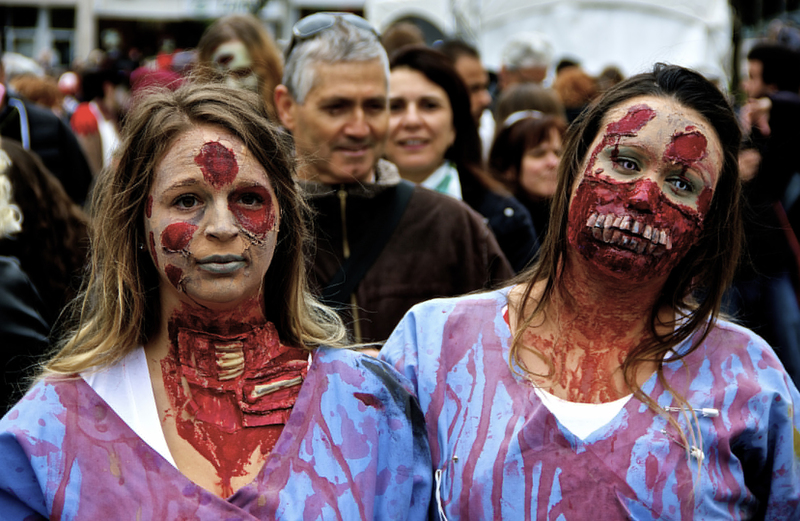 Zombie Walk. Montreal. Photo Michael Bakouch. Resident Evil. 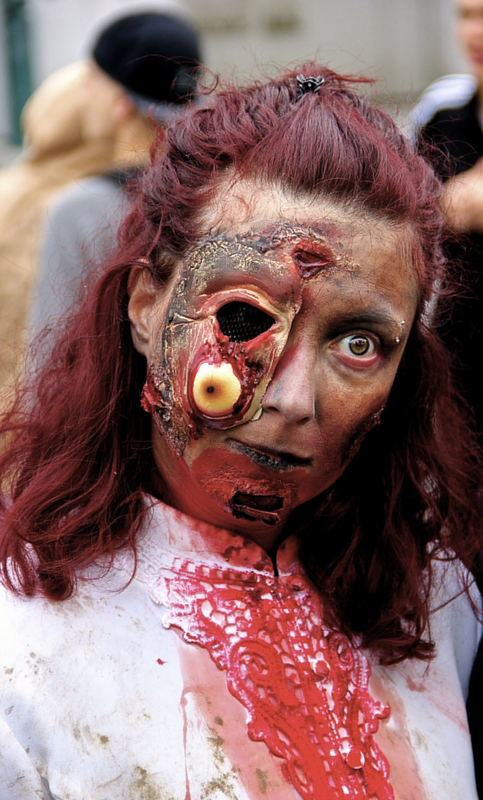 Zombie Walk. Montreal. Photo Michael Bakouch. Bones and Skull. 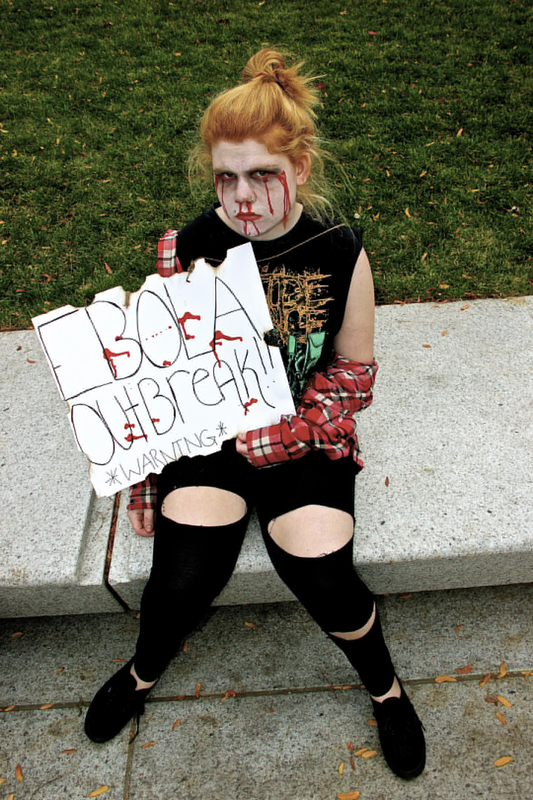 Zombie Walk. Montreal. Photo Michael Bakouch. Couple. 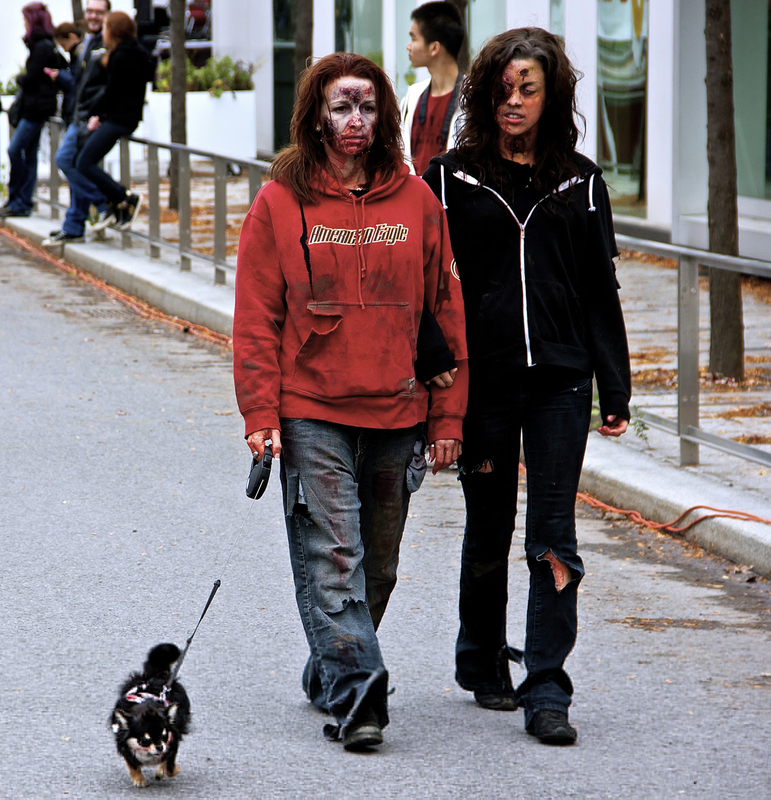 Zombie Walk. Montreal. Photo Michael Bakouch. Ebola. 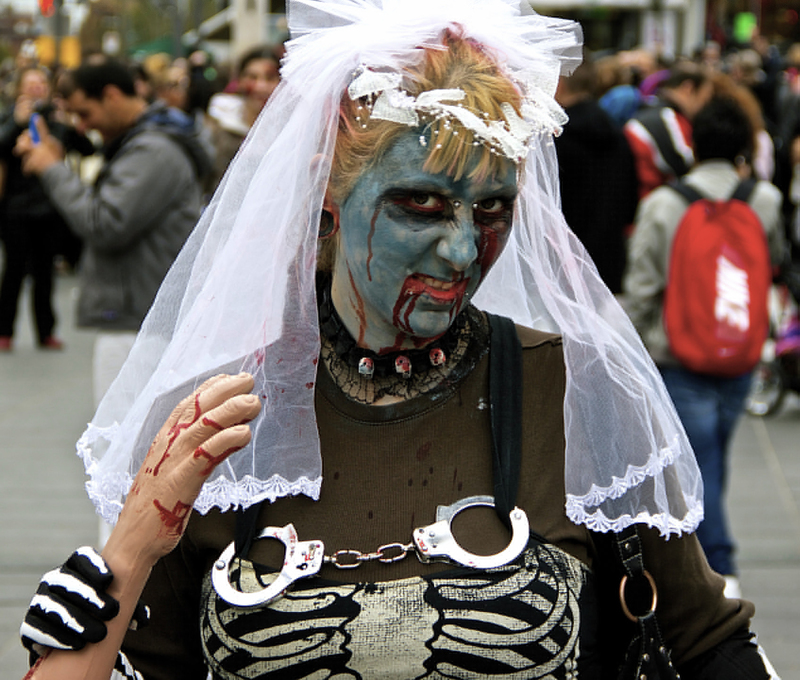 Zombie Walk. Montreal. Photo Michael Bakouch. Snow White. 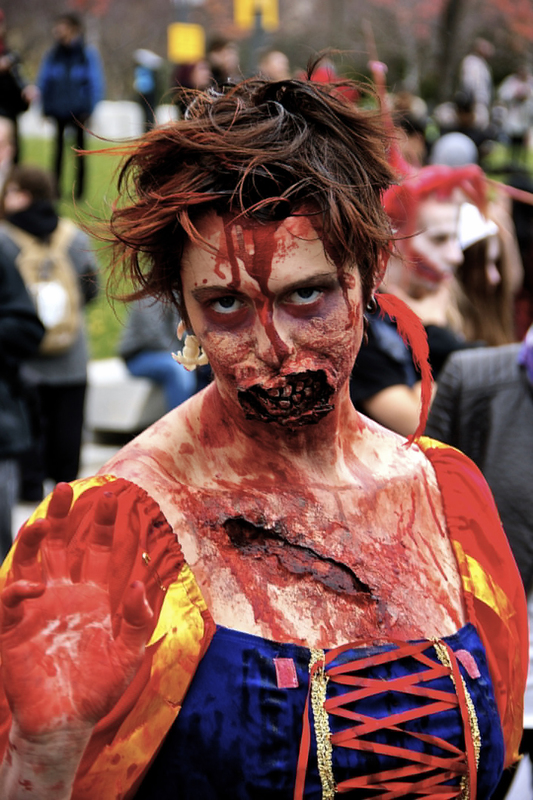 Zombie Walk. Montreal. Photo Michael Bakouch. Expos. 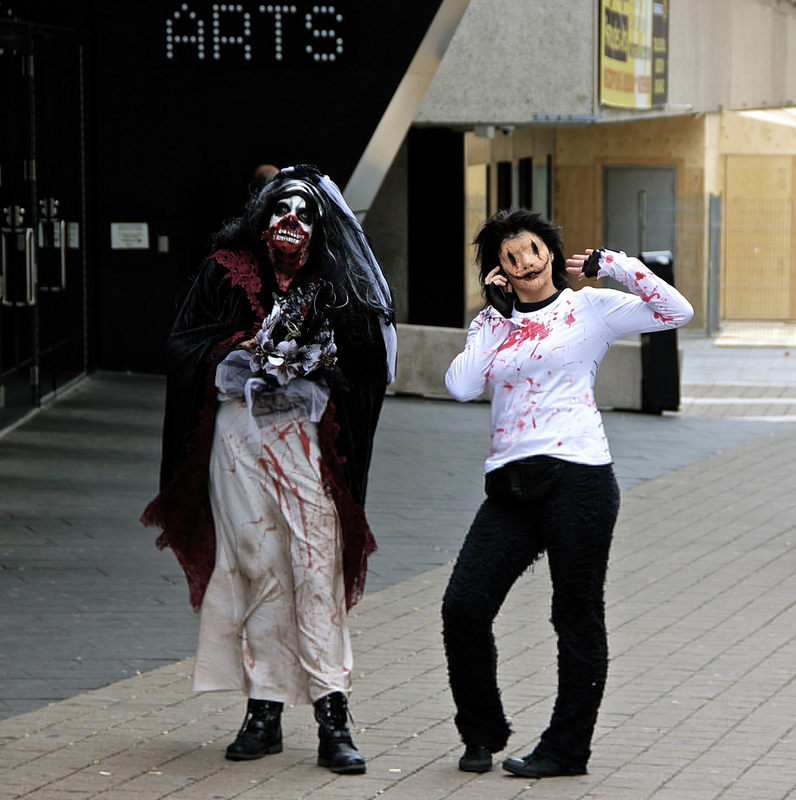 Zombie Walk. Montreal. Photo Michael Bakouch. Waitress. 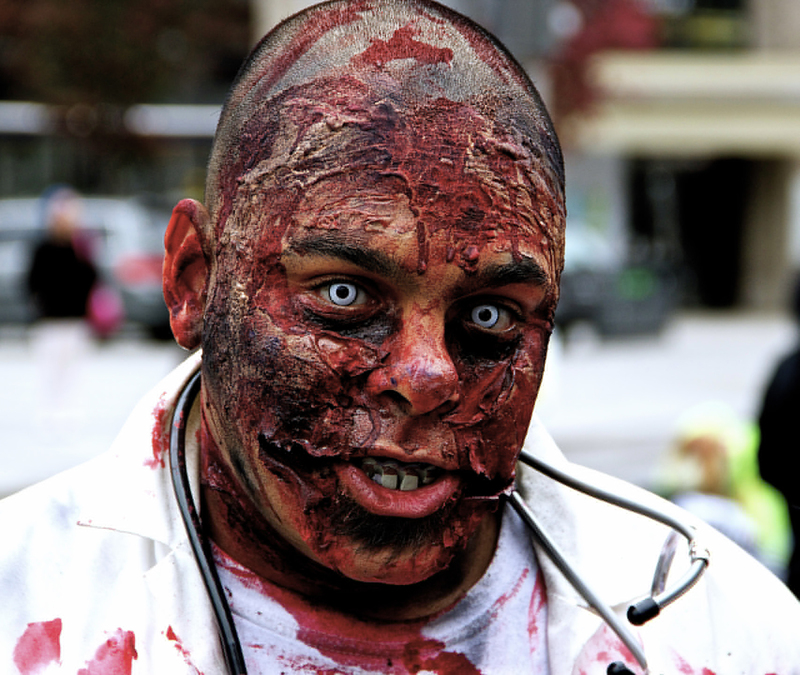 Zombie Walk. Montreal. Photo Michael Bakouch. Bride. 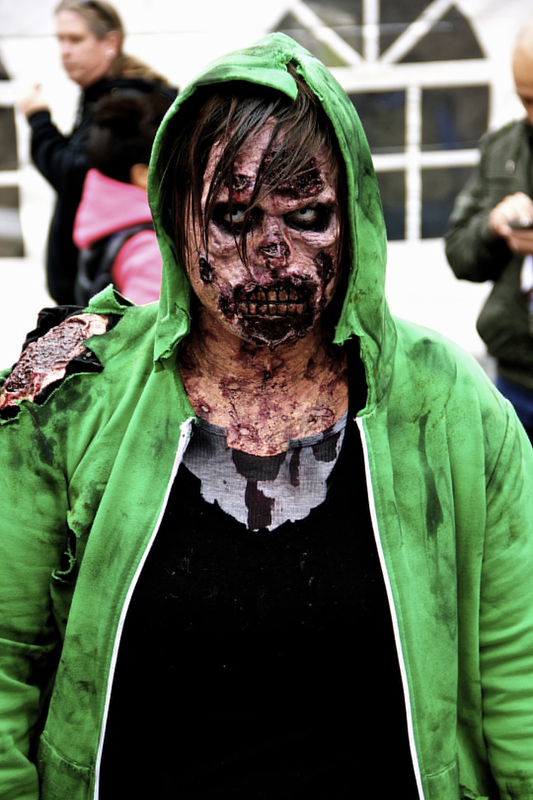 Zombie Walk. Montreal. Photo Michael Bakouch. 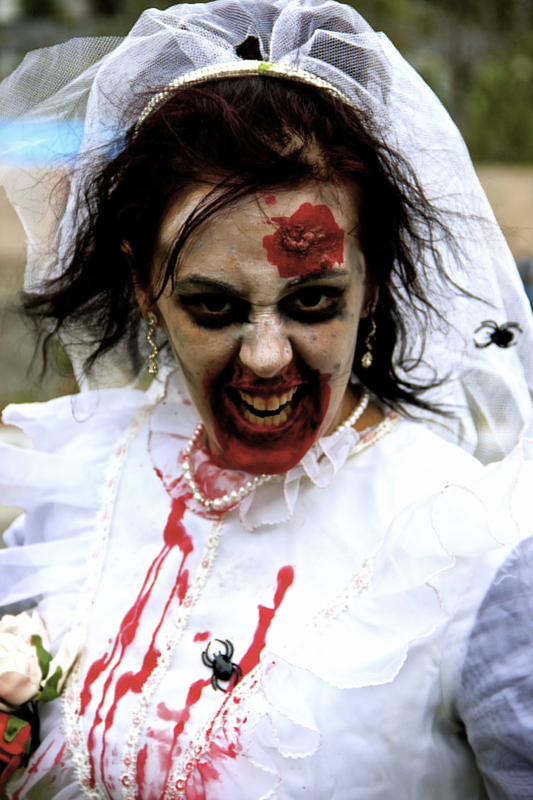 Bride 2Zombie Walk. Montreal. Photo Michael Bakouch.